Credit: Train Photos/ CC BY-SA 2.0. South Western Railway (SWR) has signed a contract with Kiepe Electric to overhaul 18 Class 442s for services between London’s Waterloo station and Portsmouth. 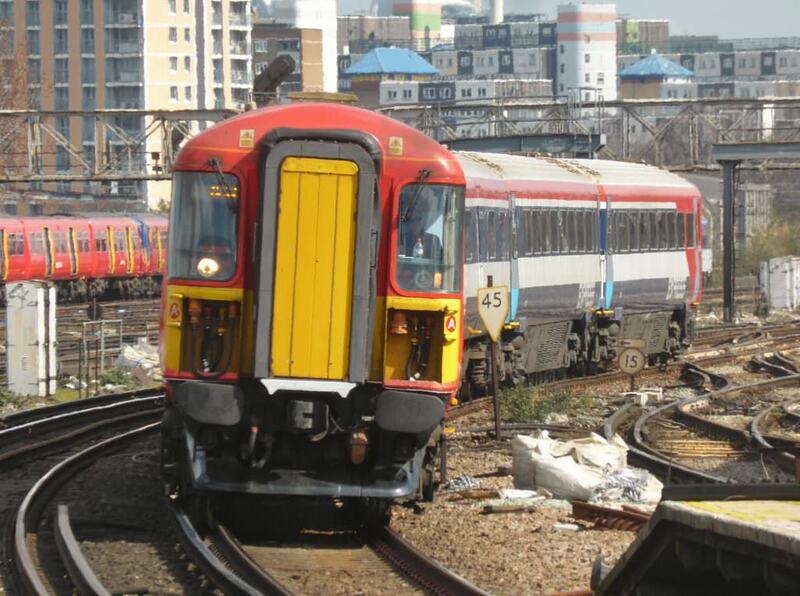 The investment, which was part of SWR’s bid for the current franchise, will see the Class 442 units refurbished and returned to service, having been withdrawn last year by former owner Govia Thameslink Railway (GTR). Angel Trains, which owns the 442s, will fund the refurbishment and recover the investment through lease charges. The project will include an overhaul of the current DC traction equipment to AC. A new braking system from Knorr-Bremse Rail Vehicle Systems will also be fitted which will harness regenerative braking. SWR is also refurbishing the interiors, installing charging points, new customer information screens and new seats and carpets. Neil Drury, SWR engineering director said: “We are delighted to have appointed Kiepe Electric to carry out the refurbishment and retraction of our incoming fleet of Class 442 trains. From December 2018, the 442s will operate between London and Portsmouth, via Guildford, Haslemere and Petersfield. The 18 Class 442 units are currently stabled at Bournemouth and Eastleigh. SWR said the refurbishment would be carried out in Eastleigh. The 442 fleet will be maintained at SWR’s Bournemouth depot. The new traction kits that are to be fitted onto the 18 Class 442’s for South Western Railway sounds like a good idea. And will be operated on London Waterloo-Bournemouth & Southampton Central services. But what about the other 6 Class 442’s. Could Southern once again use the 6 Class 442’s along with new traction kits to be fitted to work on the London Bridge/London Victoria-Eastbourne & Hastings services.